Nextopia’s solutions enable shoppers to better find the products they are looking for on a merchant’s online store, whereas Optilead’s multi-channel solutions connect companies instantly to website visitors that abandon during checkout. Both companies share the common goal of increasing online revenue for clients and this partnership will allow clients to improve income even further. 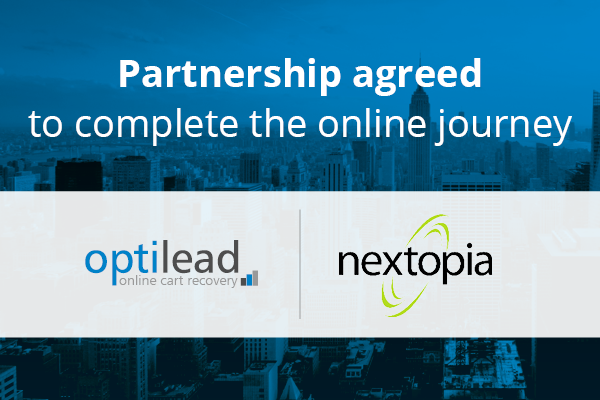 The partnership with Nextopia comes as part of Optilead’s continued expansion into North America, having built an extensive client base across the UK, Ireland and Australia from their UK headquarters. Nextopia is in the business of helping online retailers sell smarter by supplying the tools required to convert browsers into buyers. With over 1,600 customers, we’re a leading global provider of eCommerce site search and navigation solutions. Nextopia’s products integrate easily with any online store and are proven to increase conversions and sales. Our search-driven conversion platform includes site search, navigation, enhanced autocomplete, product finder, product recommendations and mobile search solutions. For more information, call 800-360-2191 or visit nextopia.com to request a free site evaluation.